No matter what happens on November 8, “Saturday Night Live” is a clear winner this election. And it owes a huge debt to Donald Trump. Recent Emmy winner Kate McKinnon, who brilliantly portrays Clinton, is the cast’s biggest star. But Alec Baldwin‘s take on Trump has been the most talked-about political impersonation since Tina Fey played Sarah Palin. Timing is one of the most important parts of comedy, and it’s perfect this fall for “SNL,” a show executive creator Lorne Michaels debuted way back when Gerald Ford was president. This could have been a rebuilding year after the show parted ways with fan favorites Taran Killam and Jay Pharoah over the summer. But Trump has made this year special — even more than a normal “SNL” election year. While quality is subjective, the Nielsen numbers aren’t. The Season 42 premiere earned a 5.8 rating per those Nielsen local-market results, the best premiere since 2008 — the era of Palin. 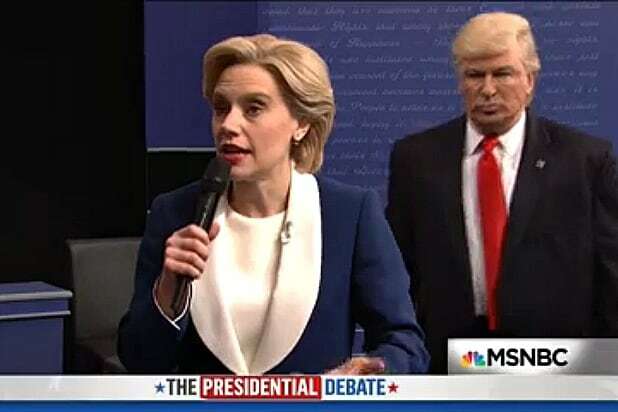 The Oct. 1 season premiere had 12.194 million total viewers with one week’s worth of delayed viewing included, making it the most-watched “SNL” premiere in 22 years. Overall, 2016 is up 10 percent to-date from 2012, with a 5.3 average versus a 4.8. Not bad for a show entering its fifth decade. Shales’ fellow critics have liked to say in recent years that “SNL” is at a disadvantage because it airs just once a week, often after all the late-night hosts have had a chance to weigh in one big news stories. But Trump seems to make bombastic news every day — never-ending material is one of the greatest luxuries of the Trump brand. For example, the now-infamous Billy Bush/”Access Hollywood” hot-mic story broke on a Friday, so head writers Rob Klein, Bryan Tucker, Chris Kelly and Sarah Schneider had one of the freshest takes the next evening at 11:30 p.m. 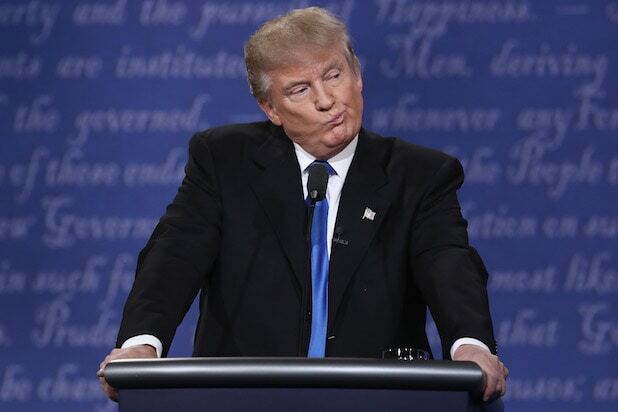 The show’s cold open that week found Baldwin-as-Trump apologizing on-air, then making ever-more-horrible comments when he thought his mic was off. Shales — a self-described “huge, huge fan” of the show — believes the quality and ratings for “SNL” could cool down after the election. He doesn’t believe it’ll be a “going off a cliff”-type situation, however. Eleven months ago, NBC caught flak for letting Trump host “SNL.” Critics said the show was giving a platform to bigotry and racism. Shales was not among those voices. This year, few would accuse the show of giving Trump a pass. Including Trump himself. Viewers don’t seem to agree. Tom Hanks hosts “Saturday Night Live” at 11:30/10:30c Saturday with musical guest Lady Gaga.